Composed by Kevin G. Pace. Christian, Sacred, Latter-Day Saints, Christmas. 33 pages. Published by Kevin G. Pace (S0.88529). 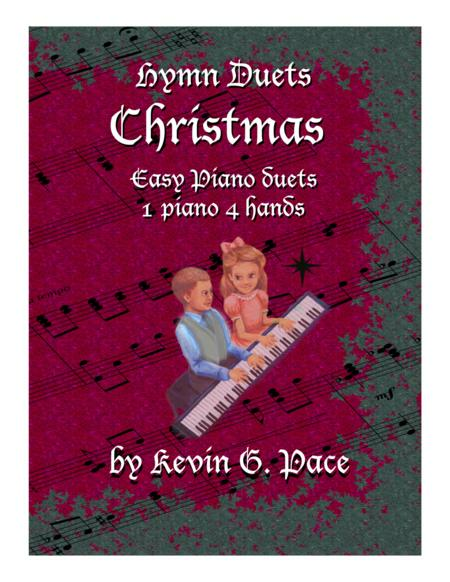 Duet piano music arranged by Kevin G. Pace for beginning pianists. For beginning pianists, children as well as adults. 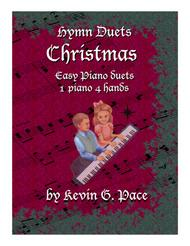 These are hymn duets for one piano four hands. This music could be used by anyone of any religious persuasion. The Primo part is comprised of the melody using one note at a time with 5 finger hand positions. Some pieces include second harmony notes. The Secondo parts are more difficult. Mostly written using white keys only. These pieces are ideal for teacher and student or parent and child. The Primo parts can also be used as solos. These pieces are excellent for use in all church meetings, religious services, family home evenings and other such gatherings. YouTube link: https://www.youtube.com/watch?v=CvFS7CNzb0U.